Lego Simpsons Secret Santa. Christmas Joke. Lego Simpsons and Batman Christmas. How Homer tried to steal Christmas donuts from Santa Workshop. Lego Racing Wheel for smartphone arcade games. Hi Friends, I created Lego Racing Wheel, that looks like Formula 1 cars wheel. Now it is much more convinient and easy to play racing games on my iPhone. Enjoy. Hi Firends, Here is a short brickfilm for Halloween. I think a lot of you have a horror dream with falling down while sleeping? Hi Friends, I created an animated stop motion speed build for those who would like to see in 4 minutes the process of building the new Lego Porsche 911 GT3 RS. Enjoy. Lego Mindstorms Drawing Machine. Harmonograph. Hi Friends, Here is a new funny movie about Homer Simpsons. The most difficult from technical point of view. Fishing rod and rope is very difficult to animate to get the smooth result. Enjoy and the funniest moment is in the end of the video. Lego Simpsons Office. If Homer Simpson worked in Office. Lego Secret Agent. Operation Hostage. Hi friends, here is my new brick film ala James Bond or Hitman :). Enjoy. 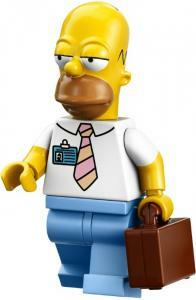 Lego Zombies, Ghosts and Flanders in Homer Simpson's Nightmare. Hi Friends, here is Homer Simpson's Nightmare. Enjoy. Merry Christmas Movie. How to Catch Santa Claus. Hi Friends. Merry Christmas and New Year are comming and here is my new Lego Brickfilm that I specially create for these #holidays. This is a funny Lego Movie about Homer Simpson who tries to catch Santa Claus. Enjoy.